How is RIVA able to safely and accurately compound chemotherapy medications? Traditional manual compounding uses graduation marks on syringes and the assumed volume of the diluent bag, and both of these are allowed to have a manufacturing variance that can be as high as 10 percent. Instead of relying upon visual inspection of volume measurements to determine the amount of drug or diluent in the dose, RIVA uses weight-based (gravimetric) methods to check the correct amount of drug and diluent are added to preparation. By weighing the drug vial, syringe and bag before and after fluid is transferred between containers, RIVA is able to precisely determine the accurate amount of drug is contained within the finished dose. This level of accuracy assurance is not possible with visual inspection or the traditional “pullback” method to ensure the correct drug, diluent, reconstitution and volume transfer were precisely performed during manual compounding. Also, manual compounding presents risks of introducing viable microorganisms that can cause infection. This is particularly dangerous for chemotherapy patients who may have impaired immune systems. The two largest contributing factors to viable contamination is the sterility of the compounding environment and human technique while performing compounding. RIVA solves contamination risk problems by removing humans from the sterile manipulation process and enclosing the compounding area in an isolated area that is protected from the external environment by HEPA-filtered air. In addition, RIVA uses a patented-pulsed, high-intensity ultraviolet light disinfection system to kill viable microorganisms and spores on ports of drug vials and diluent bags. After disinfection, the ports are exposed only to sterile air to ensure a contaminant-free surface. Notably, RIVA is the only system on the market with this feature. Does RIVA have product features and technologies specific for handling chemo medications? RIVA uses the same highly accurate gravimetric measurements for all drugs. In addition, the airflow within RIVA preparing chemotherapy drugs is negatively pressurized and vented externally through HEPA filters. These methods protect pharmacy workers from exposure to acute or long-term exposure risks associated with hazardous chemotherapy drugs. RIVA can also use fluid bags that have an attached special administration port spike. This type of spike allows nurses to attach the administration set to bags without risk of puncturing its port and accidentally spilling chemotherapy drugs during patient administration. What are the benefits from automating the chemo compounding process – when compared to manual processes? RIVA uses automation of sterile manipulations and isolation of the compounding area to solve major safety issues with manual compounding, which are accuracy of every dose measurements and assuring sterility of every finished compound. Both of these problems are strongly influenced by inherent flaws in materials and techniques employed by persons performing manual compounding. Humans cannot perform tasks with a high degree of repeatability, so every dose has some degree of variance from ideal. Automation removes this variance since the system can be programmed to perform a precise set of steps and do these actions identically each time. If the wrong drug is selected during the compounding process or dose is not measured accurately, the patient could experience toxic effects from too much drug. Additionally, the patient could receive a drug or dose that will not treat the cancer. RIVA prevents drug and dose errors by checking barcodes or image recognition. Also, RIVA helps ensure the vial is reconstituted correctly and each dose drawn from the vial is accurately transferred into the administration fluid bag or syringe. Would it be practical to use RIVA for other processes besides chemotherapy meds? RIVA has produced millions of doses worldwide, and a large percentage of these doses have been non-chemotherapy drugs. RIVA is currently being used to prepare many types of injectable medications - antibiotics, electrolytes, cardiac medications and others. RIVA is also being used to prepare precise dilutions of concentrated medications for pediatric and neonatal administration. The risks for these drugs are similar to chemotherapy drugs. More important, RIVA can be used to significantly reduce drug or dosing errors for all patients. What risks do pharmacists encounter when compounding chemo medications? When compounding chemotherapy drugs, the pharmacist and pharmacy technician have a risk of being exposed to the drug. Some chemotherapy drugs can cause burns or severe reactions. With long-term exposure, chemotherapy drugs can also cause genetic injury to the pharmacist, such as cancer or reproductive harm. Other risks to staff include repetitive motion injury caused by repeatedly transferring large amounts of fluids out of bags and then adding large volumes of drug solution. Considering Humber River is fully digital and mostly automated, how does RIVA increase efficiency and provide other benefits for such an advanced facility? RIVA adds efficiency to the compounding process by allowing more doses to be prepared simultaneously. While the pharmacist or technician is performing other activities, RIVA can prepare doses at the same time. This allows the pharmacist or technician to pay more attention to detailed preparation instructions and techniques, which reducing the risk of an error occurring while manually compounding. RIVA also brings waste-avoidance cost reductions to facilities, as chemotherapy drugs are very expensive. If an error occurs in the manual compounding process, the dose must be discarded and prepared again. This wastes drug dollars and time, increasing the total cost to prepare the doses. RIVA’s multiple, redundant checks helps ensure doses are made correctly the first time. Within the digital facility, RIVA enhances record keeping by storing digital images of each drug vial and bag used, records the lot number and expiry of medications, and has reporting capabilities to monitor system performance. By eliminating paper records, RIVA fits well into an all-digital facility. What’s next for RIVA and how do you see robotics evolving in pharmacy applications in the future? ARxIUM is focused on meeting our customer’s needs and RIVA is the flagship technology of our company. We are always looking to expand its market and application of its technology and continue to invest in functionality and updates. In addition, IV Automation is a critical safety technology because it removes the most risk-prone element from manual compounding – the human. As IV automation evolves, the number of specialty drugs that can be handled by automation will increase and even more complex preparation methods will be developed. The application of automation across the entire pharmacy enterprise is a rapidly progressing field. It is possible to envision a future in which the entire pharmaceutical handling process could be automated – from receiving to delivery of patient care. Thom is a pioneer of Intelligent Hospital Systems (IH Systems) a member of the ARxIUM group of companies in Winnipeg, Manitoba, Canada. 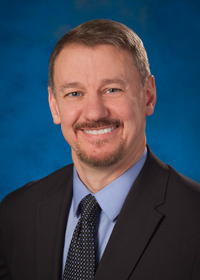 He has nearly three decades of experience developing medical devices, aerospace applications for aircraft, spacecraft and satellites, and naval command and control systems in a variety of platforms. He is the co-inventor of 12 patents for technologies deployed in RIVA, a fully-automated IV compounding system for pharmacies. Prior to joining IH Systems, Thom worked for nearly 20 years developing technology, software and IT applications with organizations including Bristol Aerospace, Aircraft Engineering and Avionics Group, and Unisys Defense Products Group. A published author and academic research consultant, Thom received a diploma in computer science from Red River College and has held advisor positions at University of Toronto and University of Manitoba.